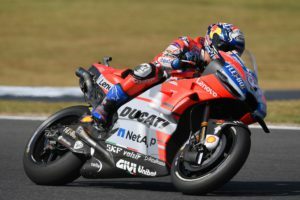 Ducati Team’s Andrea Dovizioso powered to a splendid pole position this afternoon in qualifying for the Japanese Grand Prix, which will be held tomorrow at the Twin Ring Motegi circuit. The Italian, who had also been quickest in the morning’s FP3 run, then went out in Q2, in which he set a time of 1’44.590 in his second exit. Today’s pole is the second of the season for Dovizioso, his seventh in MotoGP and also the seventh pole of the 2018 season for Ducati. Here’s what the #MotoGP grid looks like for tomorrow’s #JapaneseGP ?? There’s no doubt @AndreaDovizioso was fast on his way to his third #JapaneseGP pole position, but could he have lapped the Twin Ring Motegi any quicker? ? “My qualifying session went very well and I’m happy with the feeling I had during my pole run. 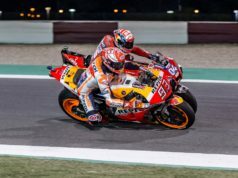 We’ve got a good pace, but so has Marquez and not only him. 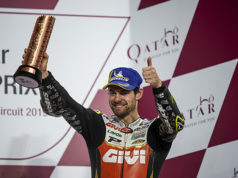 I think we still have to improve something if we want to fight for the win tomorrow, so we’ll analyse the data to see what the tyre wear is like, because probably we’ll be able to adopt a different strategy than in the last two races, where we had to save the tyre for the final few laps”, Dovizioso said. 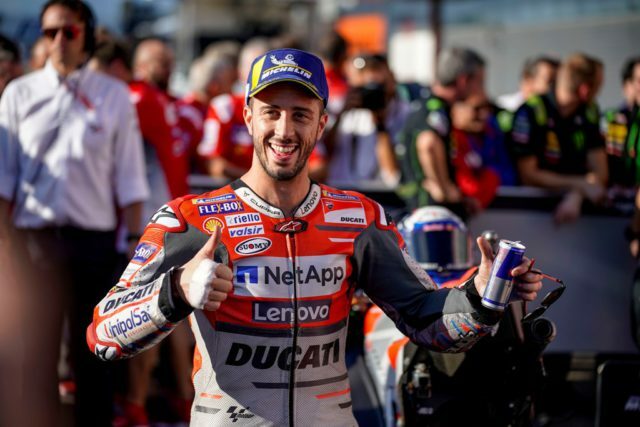 “For sure, he will try” – @AndreaDovizioso ?